What you’re about to read is a first-hand account from a PTSD sufferer. 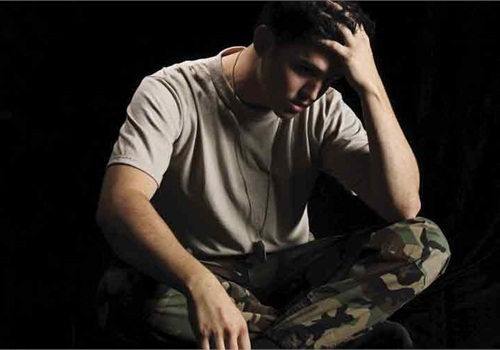 Many returning Defence personnel suffer from Post-Traumatic Stress Disorder. This is the story of a soldier who became a Christian, and who successfully confronted what is medically described as a mental health condition triggered by a shocking, scary, or dangerous event. Corporal Andrew Summers became a very tormented man – he had PTSD. Andrew had joined the Australian Defence Force with the R-Double-A-F and was deployed to Iraq and Afghanistan as a technician with the Orion aircraft. He was also a piper. This involved piping off Australia’s fallen soldiers and for Andrew in particular, this included a large number of fallen Canadian soldiers. “Many of those ramps had six bodies in total coming out,” Andrew said, saying the first one he piped for was a mate with whom he’d befriended. “He was the first one I’d ever piped off and it hit me pretty hard.” Andrew said this scene was repeated many times over. 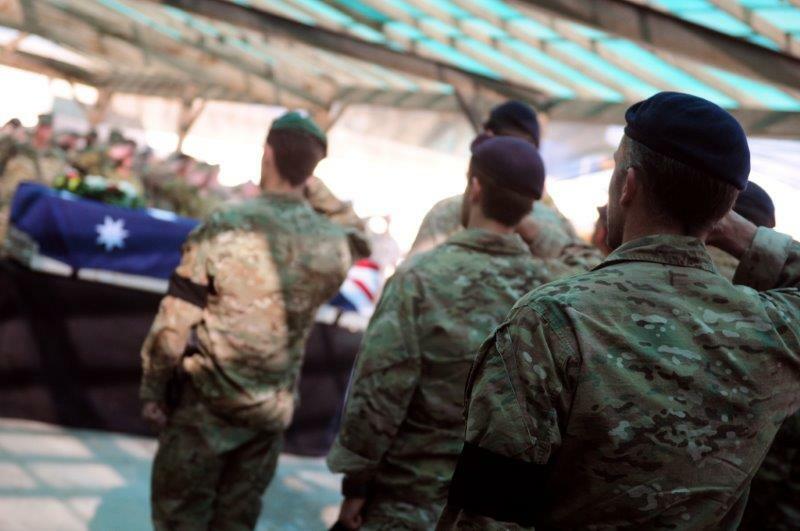 “It’s not until you return home that it hits you what you have just done and you feel the grief and the loss of every one of those who I piped and eventually this would just haunt me for the rest of my time,” Andrew admitted. This was the main factor contributing to Corporal Summers PTSD affliction. A person’s susceptibility to becoming a PTSD victim revolves around what Andrew referred to as the Bucket Theory. Andrew said it made him feel guilty and ashamed for doing his duty. “It just builds up and builds up and your bucket gets fuller and fuller and fuller,” Andrew informed. He shared how deep down he kept trying to deal with it, telling himself he was a soldier and to harden up. This is a sign of weakness. Andrew’s not alone. In fact, every military person serving in the Australian Defence Force on a base in a war zone is exposed to the threat of PTSD. Andrew said each persons’ experience is different. But although Andrew admitted it’s a lot harder for infantry, he said others working on the ramps have also been affected by the trauma of the job. Once you’re afflicted by PTSD the descent into a mental quagmire is rapid. 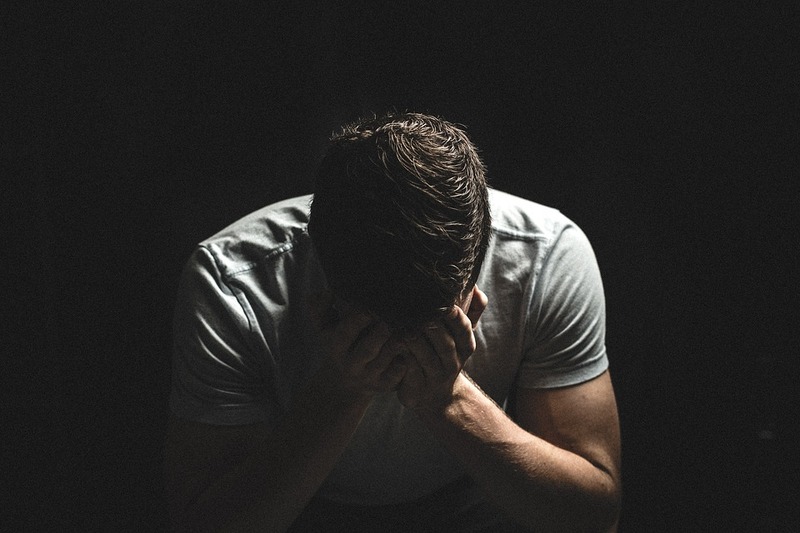 Andrew said the anxiety extremes were the worst thing he ever experienced. Andrew said you’re so panicked, you’re looking around and scoping the shopping centre as though you’re in a war zone. “You’re home and you should feel safe. That’s the downside of PTSD. Unfortunately for us as men it’s not limited to the frontline and we don’t want to talk about it because it’s a sign of weakness,” was Andrew’s prognosis. He said for women it’s ok because they can talk about their feelings to each other. “It’s a leaf out of their book we need to take,” Andrew confessed, saying it’s ok to say to your mate you’re not well and have a cry. “That’s courage to face your fear,” Andrew acknowledged. But what about his wife and children? How were they coping? Andrew said his wife Tina was amazing. Tina had been a Christian all her life. But not for Andrew. But as Andrew testified, it was very hard for his wife. He said although he never verbally or physically abused her, he had just isolated himself from everything. “I wasn’t going to family do’s or being involved with my kids. To put up with all that my wife was my rock. She’s why I’m here today as well,” Andrew shared. As a non-believer it got to a point where Andrew’s life was so dark. In his troubled mind he believed he couldn’t be a husband or a father. Andrew Summers attempted suicide on October 6, 2012..
Andrew said he’d never heard this voice before. The voice was telling Andrew about his wife and Jesus. “That distracted me. I got on my knees and cried out to God. I said, ‘If You’re real, if You’re legit, if You exist like my wife says You do, then get me out of this situation, and if You do I will follow You the rest of my life,” Andrew declared. He gave God an ultimatum. God had 24-hours to prove to Andrew He existed. As for the suicide attempt, that was something he wasn’t to tell his wife about for another 12-months. Andrew’s wife spoke to the captain and found out he was from Singleton Army Barracks on his way to Toowoomba, and he was a psychologist in the Australian army. Andrew’s wife told the captain about Andrew. She went home and shared what had happened at church and the conversation with the army psychologist. “My prayers just got answered and You do exist,” was Andrew’s response to God. God had answered his prayer within the 24-hour period Andrew had set. But the road to healing from PTSD for Andrew was just beginning. For him the healing would come through carrying out assignments. “But during that moment of facing my own demons and going through the journey of healing doing that, even there He showed up,” Andrew remarked, saying the next pack-march was from Newcastle to Sydney. Sydney had just experienced a terrorist attack. The Lindt Cafe siege. Andrew said he had a lot of hatred for Muslims and Islam. 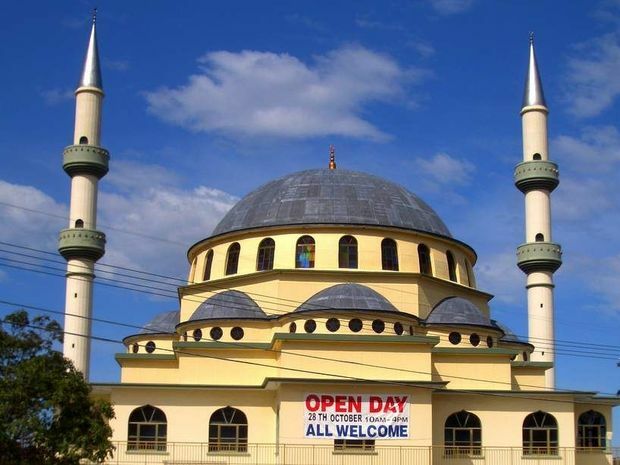 The Lord told him to go to the Gallipoli Mosque, the largest in Sydney, and be wearing his uniform. “This really frightened me.” The very thought of this mission was accompanied by nightmares of being decapitated. Andrews’ wife rang the mosque and to cut a long story short, the Imam wanted to meet Andrew. The day eventually arrived and accompanied by two friends from church, they arrived at the mosque. It was 7pm Friday evening, the busiest time of the week as hundreds of Muslim men attended the mosque for prayer. He and his two friends were ushered into a room where they waited for the Imam. “Before we knew it, there were three Christians and two Muslims glorifying God in that room,” Andrew testified. 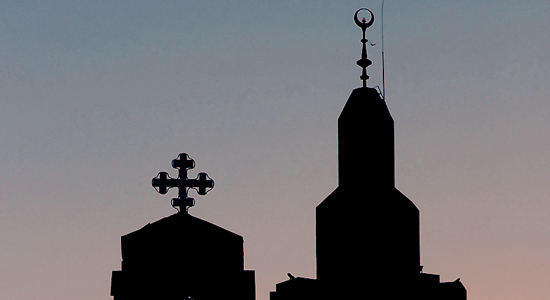 The Imam invited Andrew and his two Christian friends into the mosque which was now empty. It was there the Imam said he wanted to pray for Andrew to be healed. Andrew said that was the first time in eight years that he had never felt any anxiety. For Andrew, what God was saying to him about his future, that wherever God would send him he would always be safe. It was also to show Andrew that He loves Muslims just as much as He loves Christians. Corporal Andrew Summers is currently serving in the Royal Australian Air Force. He has served in various forms of the military for more than 20 years. The memories of his deployments stayed with him and Andrew was officially diagnosed with Post Traumatic Stress Disorder (PTSD) in 2012. In his journey with PTSD Andrew was assisted by the Military Christian Fellowship, an organisation that promotes Christian faith in the Australian Defence Forces. If you or someone you know needs help please call Beyond Blue on 1300224636.